� By Air: Nearest airports are at Cochin International Airport, Nedumbassery (103 km) and Madurai (162 km). 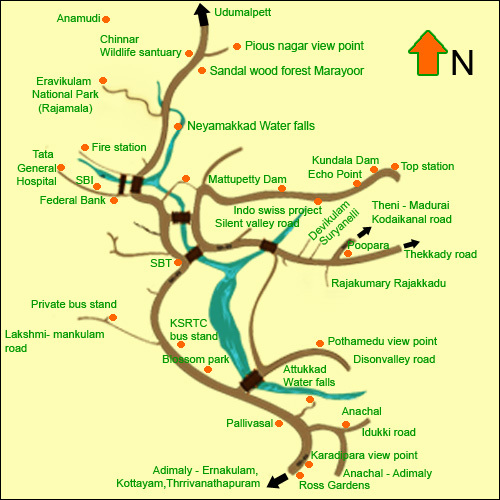 � By Rail: Nearest railway stations are at Kochi(Ernakulam Jn. 126 km), Aluva (105 km), and Kottayam (139 km). � By Road: The place is well connected by a well developed network of road transport.